Martha has been at CCS since 1985 and was appointed director in 2014. She also has five years previous teaching experience in the pre-school area. Martha has a Bachelors of Science degree from the University of Wisconsin – Platteville in Elementary Education with a concentration in Early Childhood Education. 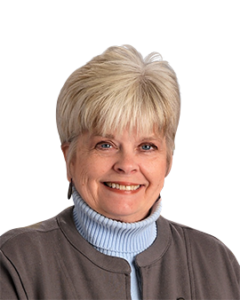 Martha continues to attend various conferences and classes at UW – Platteville to maintain her DPI teaching license. In addition, Martha has completed the Montessori Para-Professional course, Para-Professional administration course, a Sign Language I course, and is also a certified language teacher in the Orton Gillingham Method of Phonetic Instruction. Her special interests in teaching include language, music, geography, and practical life. She also enjoys family activities, animals, traveling, music, reading, and gardening. Martha’s three children, Justin, Stephanie and Lincoln who are all CCS alumni. Growing up in rural Wisconsin and attending one of the last one-room schools, the importance of family and community was instilled in me at a very early age. Day after day and year after year, I am still awarded that feeling as I am given the opportunity to work with wonderful children and families at CCS.